2018 End of the Year Campaign! We are First Graduate, a non profit in the heart of San Francisco's Mission neighborhood dedicated to supporting, empowering, and enabling first generation college students to graduate from college. Through a 12-year free program (recruiting students in 6th grade), we offer homework and study support, test prep, school evaluation, field trips and school/university visits, scholarship and internship access, community building, career exposure via visits to and from industry professionals, and more. We are the only program in San Francisco that helps students from the summer after sixth grade through college graduation and into their first jobs! This year we need to raise $190,000.00, in order to continue providing the best services and support possible to our first-gen students. The work that we do together - First Graduate and you - is important, and ongoing. That’s why we are asking you to make your gift to First Graduate today - the stakes have never been higher! Our students and their families are threatened by current administration policies, and we are here to offer them the opportunity to change their futures through education. We can’t get our students to and through college without you. With your help First Graduate addresses educational inequity - a primary issue in San Francisco, a city with the third highest rate of income inequality in the country (according to a Brookings Institute analysis). Your donation changes the outlook for our students and gives them the opportunity to attend and graduate from the best colleges and universities across the country. First Graduate students come from families that want the world for their children, but do not have the financial means (on their own) to facilitate the chances, resources, and materials that other families can afford for their children. And, your gift will be matched by First Graduate’s Co-Founder, Anaflor Graham, so you can have twice the impact! Won’t you help us achieve our mission and provide our resilient students with individual attention, educational assistance, and mentoring by giving to First Graduate today? You bring this dream within reach when you give to First Graduate. 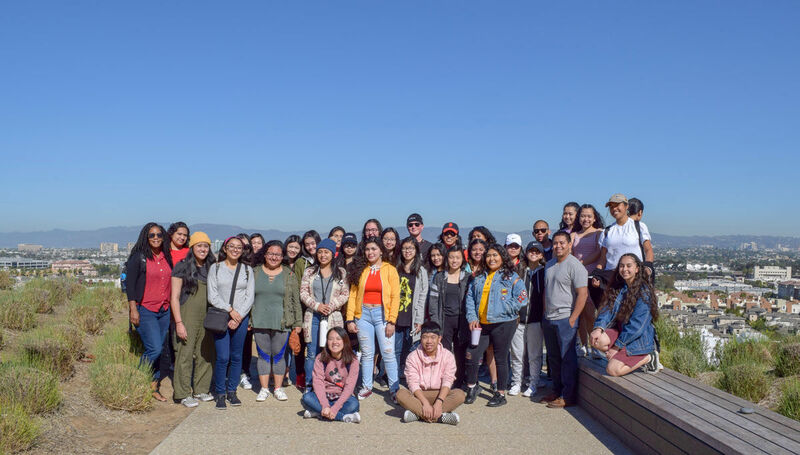 Together, we work to empower students from ages 11-12 and up to envision themselves as future college graduates, valued community members, and talented members of professional staff at Bay Area companies. If you have held an appreciated stock or mutual fund for more than one year, you can donate those securities to First Graduate and receive a tax deduction for their full fair market value, and avoid paying any capital gains tax. Please discuss this gifting strategy with your tax professional prior to making the gift so that you are certain of the benefits in your particular situation. First Graduate’s broker is Blake Freeman at Wells Fargo Advisors, LLC: SINDER/ROHRER/ROSS/FREEMAN; Phone: 415-396-6733. DTC#: 0141. For benefit of: #20316072. TAX ID #: 94-3381171. First Graduate has partnered with Give Lively to securely process your online donation. This transaction will appear on your credit card statement as "First Graduate". This transaction is subject to Give Lively's Terms and Privacy.